Pathfinder International’s project Afya Pwani aims at ending the AIDS epidemic. To this end Pathfinder International and Kinondo Kwetu Medical center cooperate to improve the lives of the more than 700 HIV-infected patients which regularly visit the clinic. 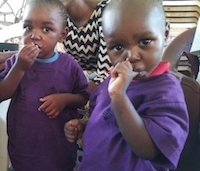 Deliveries at the facility prevent transmission of HIV from mother to baby. The babies are then closely monitored for 5 years to ensure that they stay negative. 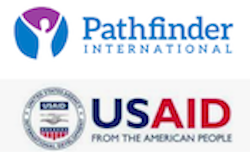 The cooperation project between Pathfinder International and Kinondo Kwetu Medical center is financed by USAID. Kinondo Kwetu Medical center takes part in a research project that is carried out by the Karolinska Institute in Sweden. It aims at developing a digital diagnosis method for cervical cancer. is a Swedish association that has as its only purpose to find funding for Kinondo Kwetu Trust Fund. Members of the board are Anne Holm Rannaleet, Senior Professor Vinod Diwan, Filip Andersson and Louise Ankarcrona. The association has a so called 90-account that is a guarantee for the donors. Many of the diseases among the Kinondo inhabitants are caused by unclean water. The Swedish invention, Solvatten, makes it possible to purify water with the help of the sun. Kinondo Kwetu Medical Center has received Solvatten units, that have been distributed to persons in Kinondo with especially strong needs for clean water, like mothers with newborn babies. This has resulted in fewer cases of diarrhoea. Also, the hot water that is generated by Solvatten, saves a lot of time and work to gather wood for cooking.